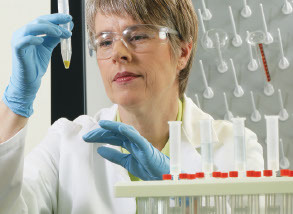 Thermo Fisher Scientific offer a diverse range of pressure sensors from global leaders like GE Druck, Paroscientific, MTS Sensors and Honeywell, catering to the needs of our customers across all sectors of industry. The Low Pressure / Heating, Ventilation, and Air Conditioning (HVAC) category includes a line-up of pressure sensors that possess superior versatility, reliability and performance. Barometric pressure sensors are suited for weather stations monitoring atmospheric trends, engine test cells, data buoys, ships ballast systems, as well as a highly stable barometric pressure reference transfer standard. The harsh oil and gas environment demands rugged, accurate and cost effective pressure measurement. A full range of high-performance pressure transmitters fits the bill for offshore and land-based oil and gas production and exploration, drilling, subsea and distribution applications. Aerospace and military applications demand the highest level of performance under the harshest environmental conditions. From commercial airliners to nuclear submarines, GE’s years of experience designing and manufacturing sensor-based products ensure safe, reliable operation of your equipment. IECex intriniscally safe industrial pressure sensors are designed for use with aggressive pressure media found in many industrial and process applications.